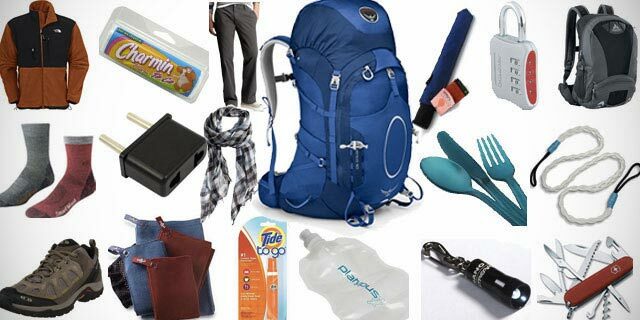 Essential things to carry while travelling – Travel is to live! It tones the mind and gives the space to think and analyze. This is why the people were advised to travel more in their life. It helps to create many memories in the life. Moreover, you will get the chance to understand the real you. When it comes to travel, carrying the travel essentials are more important. It is better to pack two days before the travel to avoid missing out essential things. If you are planning to travel, this article is much more helpful to know the essential things for the travel. Read the following details. Size and weight of main luggage is most important things to consider. The size must let you to carry all necessary things and easy to carry. Consider the number of days for travel while preferring the luggage. Organize all your stuffs. Before arranging them, make sure that you are carrying the light weight materials. It means a lot while travelling. Carrying a heavy weight travel luggage will drain your energy during your travel. Arrange your stuffs according to it. Toiletry things are more important things while travelling. Crosscheck them twice after you had packed them. Never forget first aid box and all necessary pills and medicines to carry with you. Take a carryon bag to carry all personal things such as mobile phones, camera etc. If you are travelling overseas, passport, visa and other necessary documents are more important things. Double check those things before starting the travel. Forgetting travel documents will brings chaos to all your travel plans. Never forget them while travelling. Try to keep money on your hand and beware of pick pockets and other problems while travelling. It is wise to hide some money while travelling. It saves from unwanted situations. When travelling overseas, keep in touch with embassy is one of the wise to things to ensure your safety. Keep in touch with them and they will do anything for your security and safety. Turn off all the lights, fan, close all windows, doors and do the necessary things. It is better to inform the local policies that you are going out of town for certain days. Hope the above listed information’s are much helpful to make your travel time better one.